The fact that South African citrus is gaining popularity with “most receivers” in Europe” is great news for SAFE. The world’s trend to more healthy eating habits has sales in SAFE’s citrus markets. This is according to Wibo van den Ende, SAFE Marketing & Sales Director for Export, who says SAFE is gaining a stronger foothold in his markets, due to the producers’ consistently high quality of fruit. A forward-thinking agreement signed with select distributors such as Haluco (based in Europe) last year has also helped to grow SAFE’s reputation for attention to detail in delivering top quality fruit. SAFE totals packed by March include 104 000 cartons of lemons with 93 000 cartons “on the water” in March. The Marble Hall harvest was the first packed in the area giving SAFE the edge over other exporters. SAFE’s decision to base Wibo in Europe to “land” the fruit has been a good strategic move. 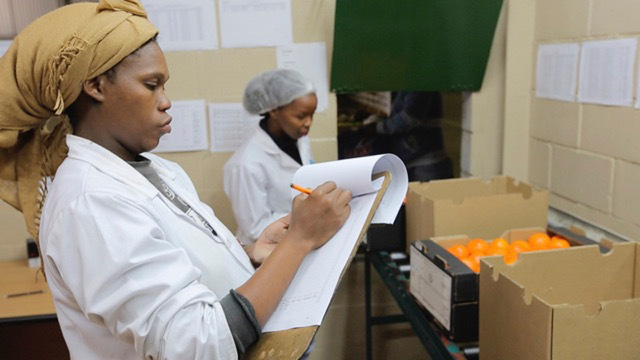 “We are not just landing the grapes or citrus cartons but we add value by checking and meeting quality standards, labeling and repacking to enable distribution directly into supermarket depots – a service much appreciated by SAFE’s clients – and the fresh fruit demands of supermarket customers. The world’s trend to more healthy eating habits has also helped sales. “Almost all European supermarkets and catering companies are selling greater quantities of smoothies, fresh juices, fruit salads, fruit baskets and so on,” says Wibo.